The Malibu will give Chevrolet an upscale product in Europe where its best-selling models are low-cost Korean-built small cars. 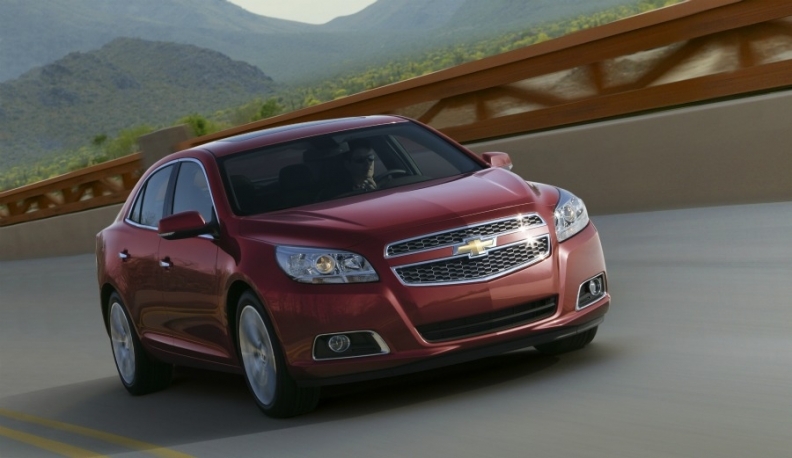 Chevrolet will give its Malibu a European debut at next month's Frankfurt auto show. The company says the midsized sedan will become the brand's flagship in Europe after it goes on sale in the region next year. The Malibu will give the U.S. brand an upscale product in Europe where its best-selling models are low-cost Korean-built small cars. The Malibu will be offered in Europe with a 164 hp 2.0-liter gasoline or a 169 hp 2.4-liter diesel, both with four cylinders and available with manual and automatic transmissions. Chevrolet's new-car sales in the EU fell 1.1 percent in the first half to 90,386, according to industry association ACEA. The brand has a 1.3 percent market share. In Frankfurt, Chevrolet also will give European premieres to the Miray concept for a futuristic-looking electric hybrid roadster and the Colorado Rally pickup truck concept that offers a preview of the next generation of the Colorado midsize pickup.